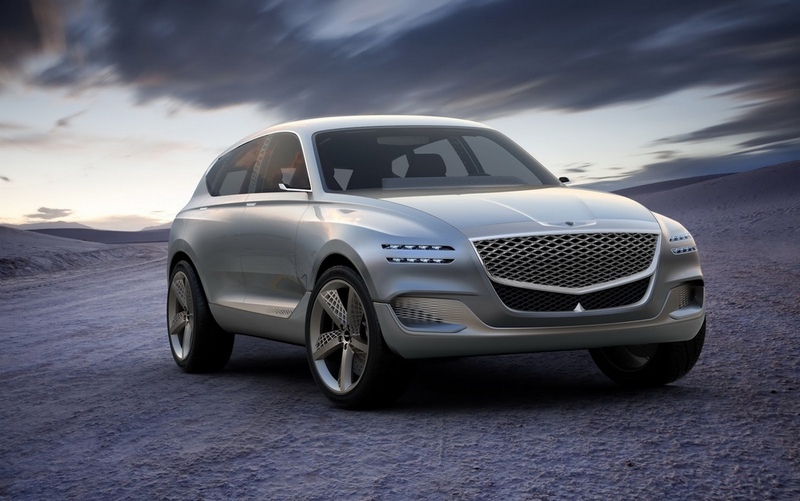 As we reported earlier, Hyundai owned luxury car division Genesis is working on three SUVs that are scheduled to launch by 2021. Two of them are the GV70 and GV80 that will be introduced by 2020 and the third one will hit the market in 2021. The GV80 is a large luxury SUV, while the GV70 will be a smaller one, while the third one is expected to be a compact crossover. 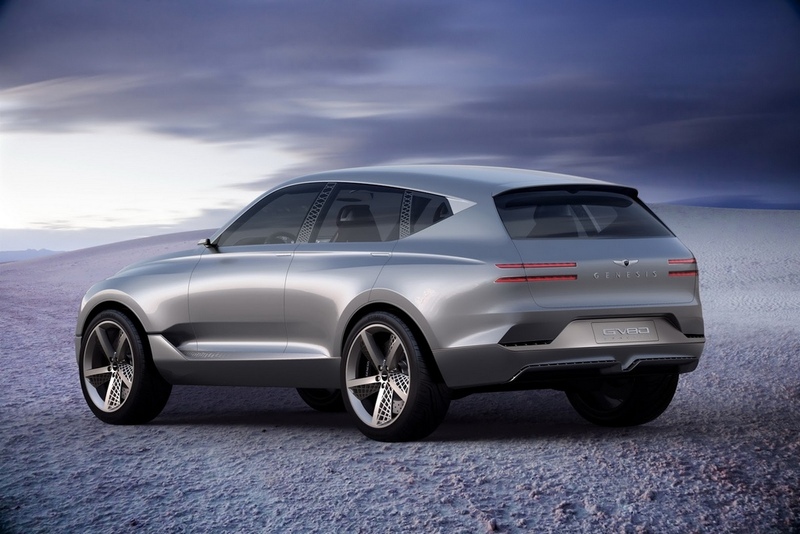 Genesis GV80 is going to the first luxury SUV from the automaker and it will follow the concept model showcased at 2017 New York International Auto Show. 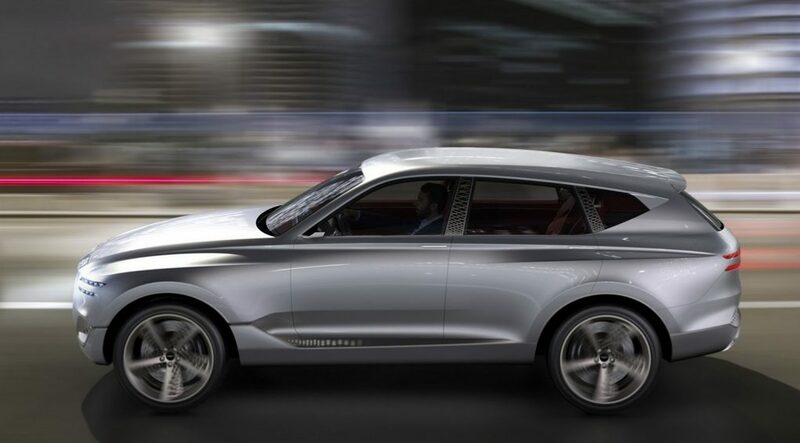 This SUV will be powered by a plug-in hydrogen fuel cell powertrain and it will deliver grater performance and fuel efficiency. Currently, the brand sells two cars – G80 midsize sedan and G90 full size luxury sedan. The automaker is preparing to launch its third product later this year. Christened as G70, this will be a compact sports sedan that will compete with rival like BMW 3-Series. With all these upcoming sedan and SUVs, the band eyes to reach more customers in the luxury segment. Speaking about the upcoming Genesis GV80, this luxury SUV is expected to closely follow the concept model showcased earlier this year. It comes with an unique appearance and sport horizontally positioned quad LED headlamps with laser fibre optic technology. Also, it will get 23-inch mesh alloy wheels, flared fenders, electronic door handles. Inside the cabin, it will carry premium wood trims, a 22-inch OLED Infinity display, premium quality leather etc. Meanwhile, in an attempt to distinguish itself, Genesis is gearing up to set its own exclusive premium dealership network instead of using the Hyundai retail outlets. As the brand says, luxury car buyers are not showing interesting in stepping in Hyundai dealerships and this is affecting the sales of Genesis directly.